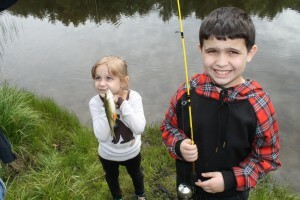 Another Successful Family Fun and Fish Day! 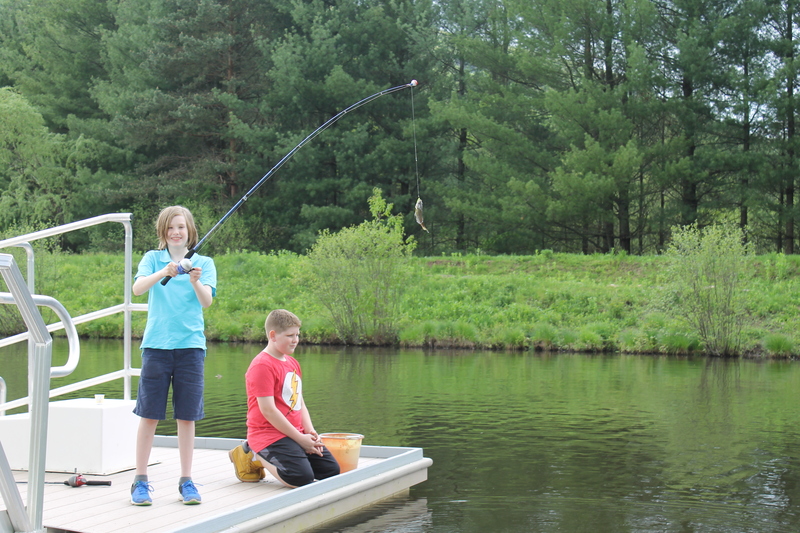 AWSMP’s Annual Fam­ily Fun and Fish Day 2015 was a great suc­cess! The over­cast weather and threat of rain didn’t stop nearly 60 par­tic­i­pants from head­ing down to Ken­neth Wil­son State Camp­ground in Mount Trem­per on Sat­ur­day, June 27. 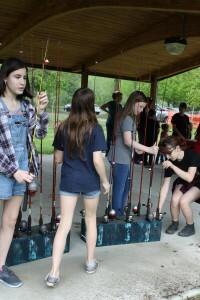 The day’s events were focused on learn­ing the sport of fish­ing and some basics about aquatic ecol­ogy and water­shed sci­ence. Par­tic­i­pants ranged in age from the very young to the young at heart, many of whom had never fished before. 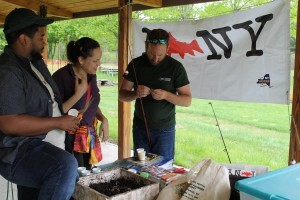 New York State Depart­ment of Envi­ron­men­tal Con­ser­va­tion (NYSDEC) staff loaned fish­ing poles and bait to par­tic­i­pants. Vol­un­teers from the Ashokan-Pepacton Chap­ter of Trout Unlim­ited offered instruc­tion on how to prop­erly bait a hook, cast a line, and safely return a caught fish back to its watery home. 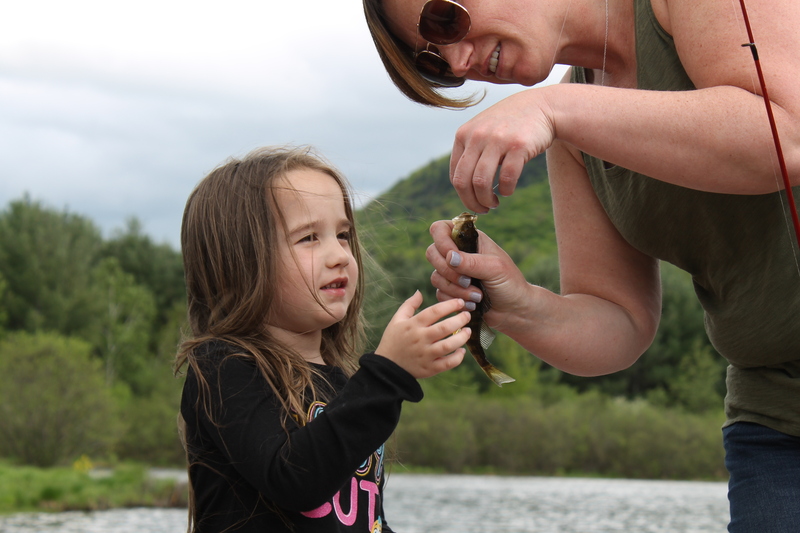 Activ­i­ties for the youngest included col­or­ing pic­tures of the New York State Fish (the brook trout), a mag­netic fish­ing game, and a create-your-own fish activ­ity that helped aspir­ing anglers iden­tify dif­fer­ent species of fish and their anatomy. Events of the day were capped with a bar­beque lunch for all to enjoy. 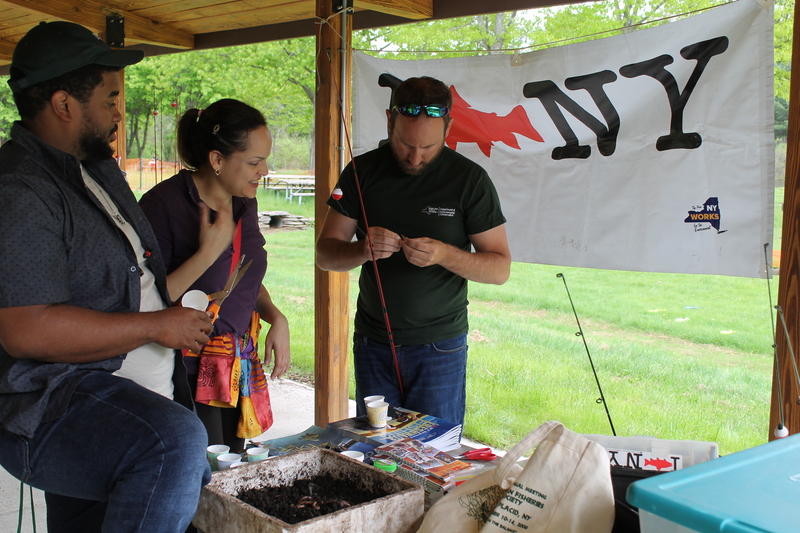 AWSMP wishes to thank the vol­un­teers from Trout Unlim­ited who helped instruct novice anglers, and staff from the NYSDEC for loan­ing equip­ment, tackle, and instruc­tion for the event. 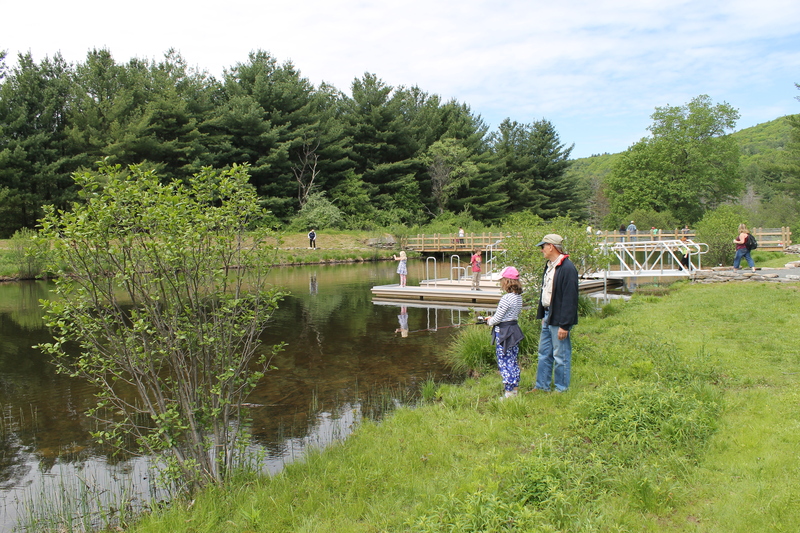 This is the fourth year that AWSMP has hosted this fun, fam­ily friendly event that seems to grow with each year. We look for­ward to see­ing you next year at Fam­ily Fun and Fish Day!